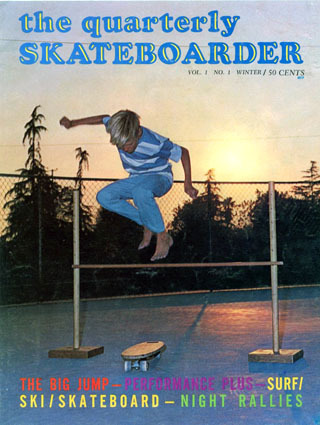 This California-based magazine was launched by John Severson Publications during the mid-1960s at a time when surfing and skateboarding were experiencing their first boom. 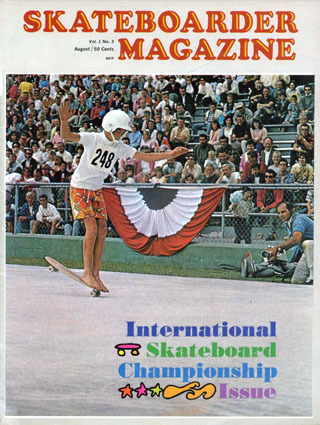 Although Surf Guide became the first publication to promote skateboarding, The Quarterly Skateboarder was the first dedicated magazine. 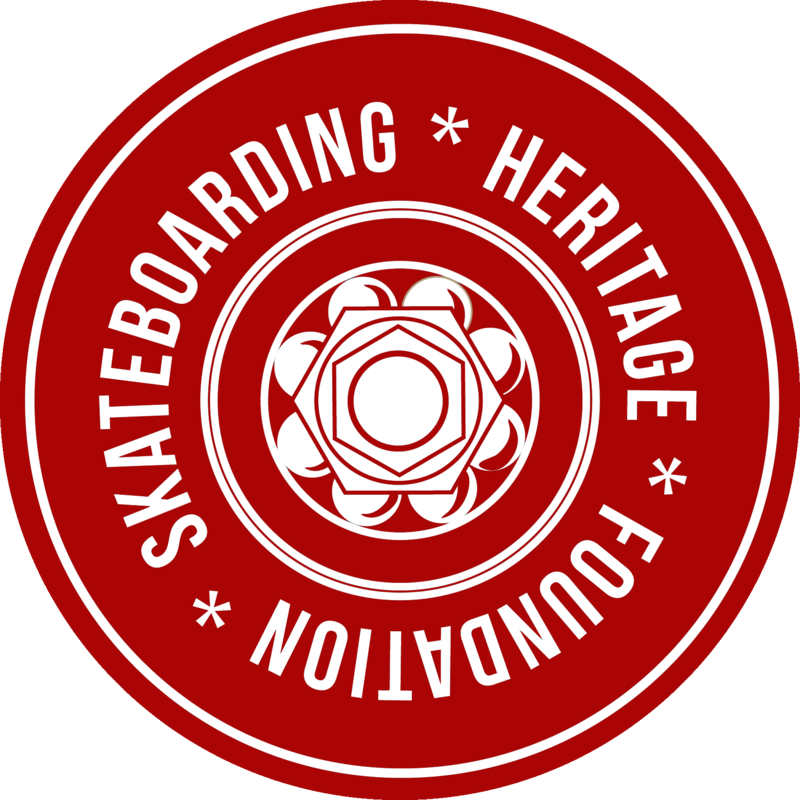 The Dana Point publication only lasted four issues and its disappearance in late 1965 occurred at a time when skateboarding's popularity saw a decline, due in part to citywide bans, and compounded by negative coverage from the national and local media. On the cover: Dave Hilton, one of the original members of the Hobie skateboard team, jumps over a high bar in West Covina, California. 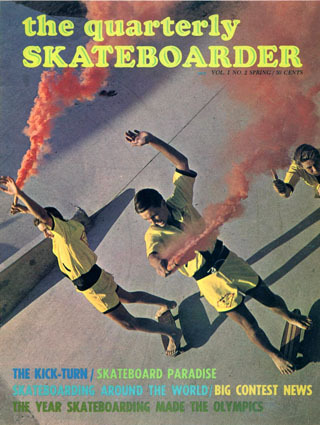 On the cover: Mike Rogers, Randy Lewis, and Greg Mitchell of Jack's Skateboard Team skating in the street with flares in Anaheim, California. On the cover: Torger Johnson shows off a brand new trick called a Nose Wheelie at the 1965 international championships in Anaheim, California. 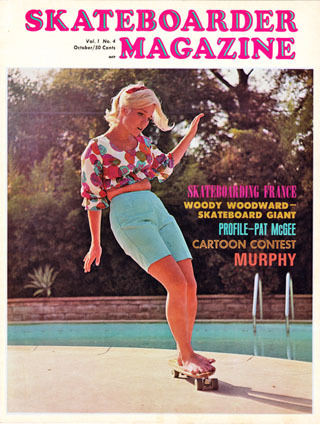 On the cover: Skate ambassador and Hobie team rider Patti McGee stylin' next to a swimming pool filled with water in San Gabriel, California.